This is a bit of a different post for me as I tend to only review or share products that I really like or got on with, however this is not one of those. 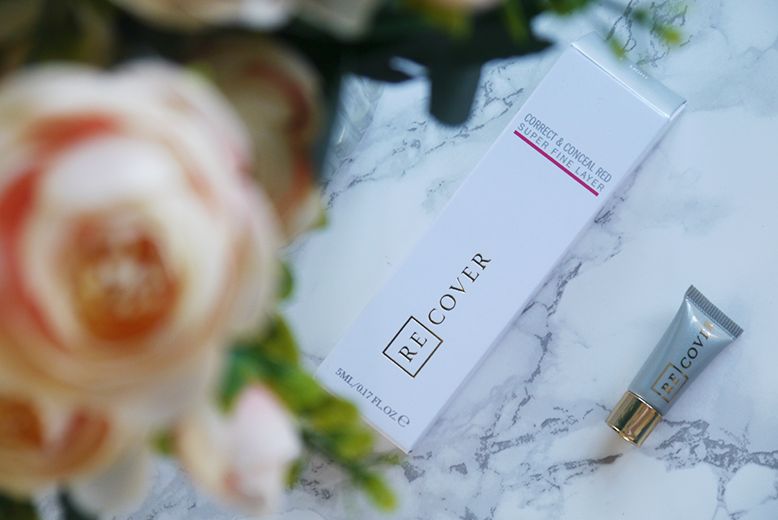 I received this Re Cover Correct & Conceal Red* in the mail and instantly tried it out on my dull tired and red skin. I wanted to instantly love it because it is such a cool invention and the shape of the applicator is a real novelty. 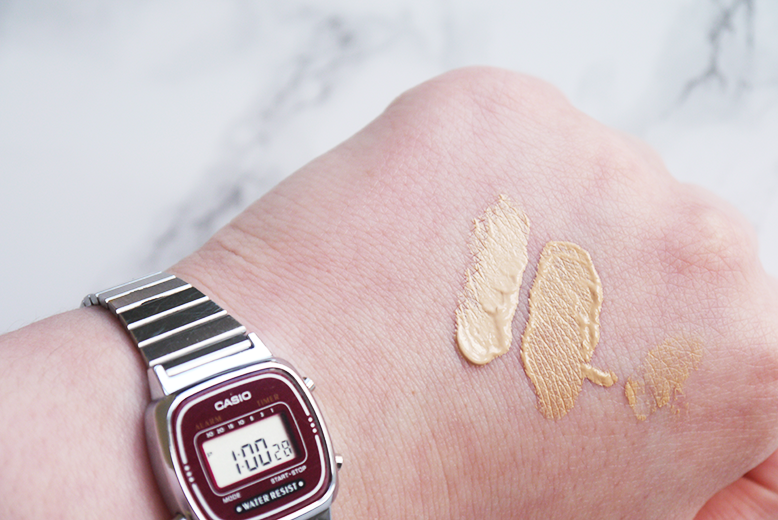 It went on thick and was hard to blend on my skin without it settling in every dry patch, fine line or crease making me look cakey and yep, still red. 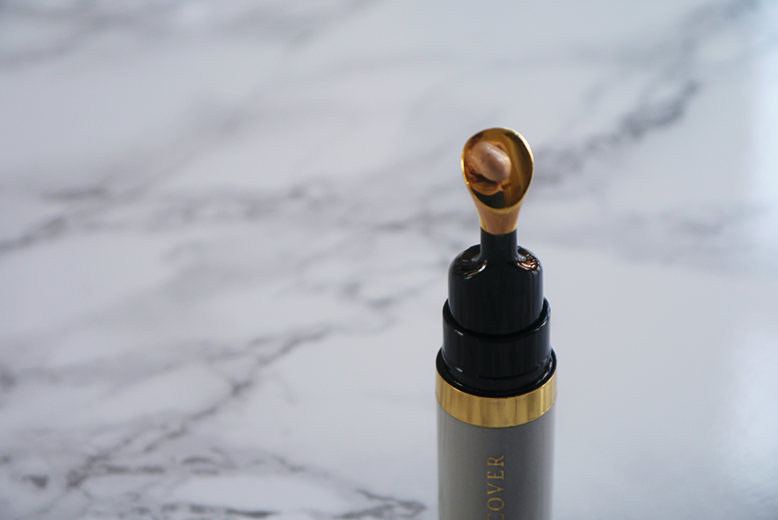 As you can see it's a very unusual design, the whole top is a pump and even one tiny press of the pump gives you enough concealer to cover most of your face simply because it's so thick. At the moment there are only five shades but they are bringing out a sixth even lighter shade. I'm not sure if it's the formula itself or the consistency that doesn't work for me. 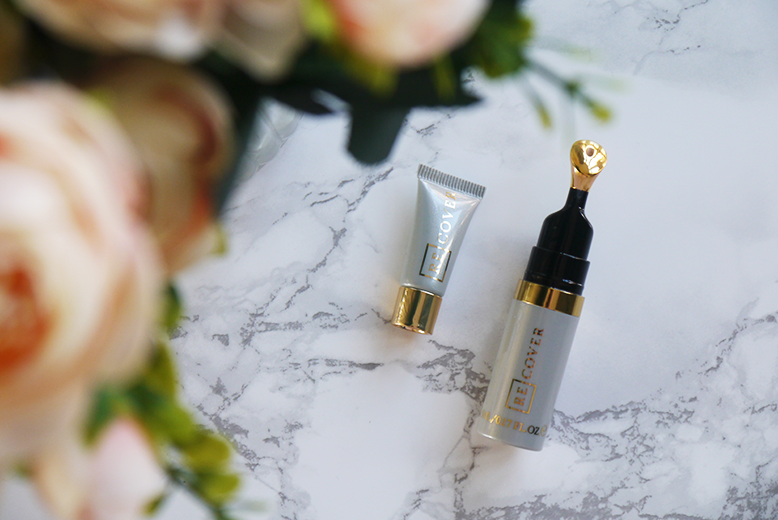 I love the applicator and the cooling effect the metal tip has on my skin, but after three tries at mastering the application I knew it just wasn't for me! 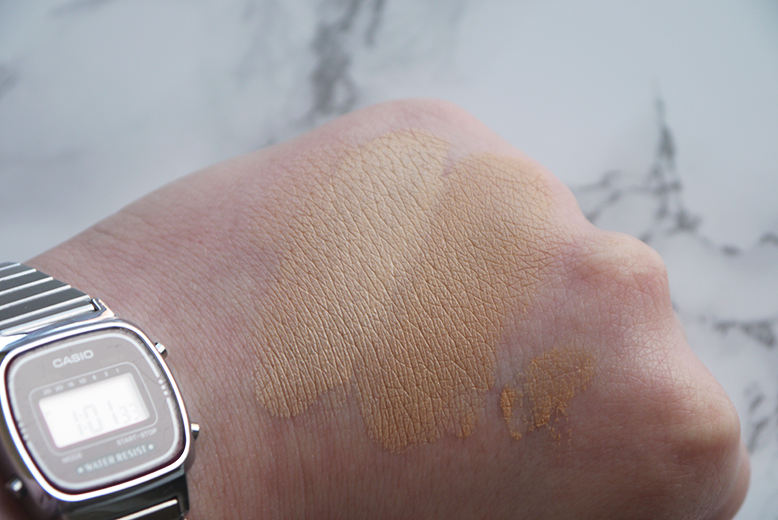 Here is a swatch of the lightest shade currently available (on the right) and the newer lighter shade (on the left) You can see that I am clearly more suited to the newer lighter shade but even applying that with my normal concealer brush still left me cakey and uncomfortable. I think this may be down to a mix of my dry skin and bumpy acne scaring. I think if you have a more normal / oily complexion it may be more suited to you!